I live in the beautiful, mountainous state of West Virginia. Tourists come from all over the country for white water rafting, sight-seeing, rock climbing, and parachute jumping off the New River Gorge Bridge on the annual Bridge Day in Fayetteville, not far from my home. As you might expect, you’ll find many an adventurous spirit round these here parts. How often do you get outside your comfort zone? Sooner or later in life, you will be faced with a choice for adventure whether it be a physical or mental challenge. Will you take advantage of this opportunity, or will you immediately shut it down because you’re afraid? Your kids are watching you. They pick up what you model. My rock climbing friend, Luke, shared with me several keys that apply to this concept. This doesn’t have to be about rock climbing. It’s about anything you view as a risk. When I turned 40, I made a decision to ditch my fear and take on the roller coasters. I was tired of being a scared, mousey mom. Once I made the decision, I never looked back. Even though I screamed my lungs out every time. Plus the kids thought it was funny. So – win/win! One must be in the right frame of mind (sober), have the proper gear (belay), and if you’re a newbie – a guide. Actually, it’s always a good idea to have a partner for support. Pray about your decisions (even if it is a rollercoaster). God sees your fear and knows your desires. Have you ever stopped to think that maybe He gave you that desire? No desire or decision is too small for God to be involved. Seek His wisdom. Make sure you have wise people in your life to bounce your ideas (or your volleyball) off of. So you’ve narrowed down your prospects. Now you need to discuss it with the important people in your life. Let them know what you’re thinking. Express to him your goals and dreams. Share your ideas with your kids. Your risk should be something you’re doing because of your kids, not to get away from them (even though you may feel like running away sometimes). If it takes you away for a considerable amount time, you need to consider another risk. 2.You need your cheer section. This should be a family affair! Your kids need to see you growing. They get excited about it as they see you progress, and you inspire them in turn! My friend Luke, the rock climber, takes his kids along probably 80% of the time he performs outdoor activities. Rock climbing, biking, hiking, whatever. He’s involved with his kids because he makes time for it (and so does their mama)! When we began taking our kids to amusement parks, I didn’t really want them riding roller coasters, but I didn’t want them to grow up to be scaredy cats like their mama either. So as soon as they were tall enough, we took them along on the coasters. Actually, we made them go. We had a few cry all during the wait for the ride. There was an era where the Gray family had seasonal tickets to Bush Gardens and we knew every twist and turn to every ride by heart (having a dad who travels and brings you along is a perk sometimes). Ok this is just common sense, but really. Don’t take your kid to an overlook and climb on the other side of the fence just to be cool. Don’t put your kid on the other side of the fence, either. If you’re 50 years old and you decide to take up the balance beam, you might want to rethink that. If you want to start up a business but you have zero collateral and have to go $100,000 in debt, it’s a no-go. I’m not advocating throwing caution to the wind. Taking risks is about challenging yourself within reasonable limits. No matter how old you are, there will always be someone older and wiser than you. If your goal is to learn how to roller skate with your kids, ask for help! Seek wise counsel no matter what you’re interested in doing. It’s good to have mentors in your life. If you don’t have anyone in mind, church is a good place to start! 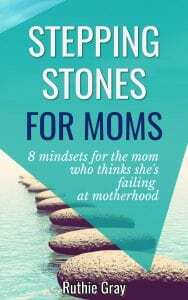 Find a mom you admire that has been around the block a time or two and pick her brain! Never stop challenging yourself, even in small ways. Chances are, there is an opportunity lying right under your nose. What have you been putting off because you’re afraid? Stop worrying about what you look like or what people think. Stop overthinking everything and start taking risks. 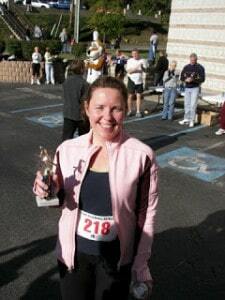 I ran my first 5K when I was 42. I took up mountain biking at 45. 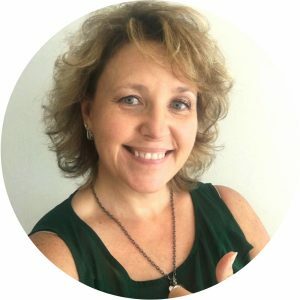 I performed my first triathlon at age 48, and now, here I am, writing my first book at age 50. 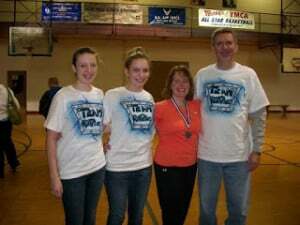 My husband and kids cheered me on through it all. Jim even had “Team Ruthie” shirts made for the triathlon. 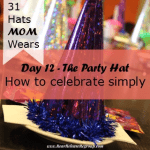 My oldest came up with the idea for“31 Hats MOM Wears”. Jim and I brainstormed hat ideas. The fam reads my blog every day and tell me if I have typos (btw I know there are some I haven’t yet fixed) and get excited to read about the next hat. Never stop growing, dreaming, or challenging yourself. 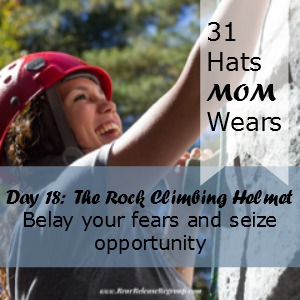 Join the thriving, rock climbing moms of the world and set your spirit free to enjoy the wind at your back as you steadily climb that giant rock, one notch at a time. Seek wise counsel, don’t be reckless, communicate with the fam, and never stop learning. You don’t really want to be that mom holding all the gear while everyone else has fun, do you? Are you at a crossroads right now? Do you have an opportunity that interests you, but you’re afraid of failing? When was the last time you stepped outside that comfort zone and did something brave? Not brave for just anyone – brave for YOU. Only you can choose your brave. Go 0n mom – get that helmet ready! Day 19: The Captain’s Hat! 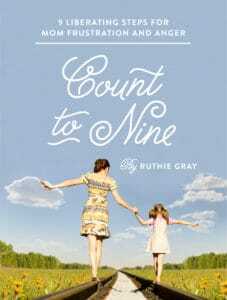 You are awesome Ruthie! I’m still discovering the brave within me. I know I will find it. And, I agree 100%, you need that seasoned mom to mentor you when you need it! Hey girl! I ran across a verse just this morning that really goes with this post – in fact, I think I’ll insert it at the end. “Our God gives you everything you need ,makes you everything you’re to be.” 2 Thessalonians 1:2. Isn’t that great?! I always love hearing from you! Thanks for the kudos and back atcha, girlfriend! That’s an awesome verse! It is great. I’m sharing that with my hubby right now. He needs the encouragement for his meeting at 3:30! I hope he finds it helpful! 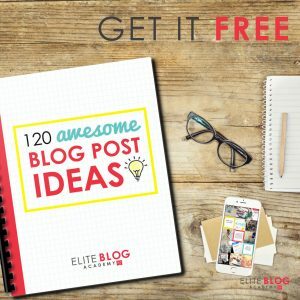 I also found these two at the end of the chapter that go right along with it – “Our God will make you fit for what He’s called you to be, He’ll fill your good ideas and acts of faith with His own energy so that it all amounts to something. If your life honors the name of Jesus, He will honor you.” (These are taken from The Message and that was from vs 11-12.) I hope your husband was encouraged with the verses for his meeting! I also wanted to tell you that I shared your post on community with a friend today who is having an extremely hard time finding her brave. She is in a deep, dark place. Please pray for her. I will definitely pray for your friend. Thank you for these verses. He found the other one so encouraging!